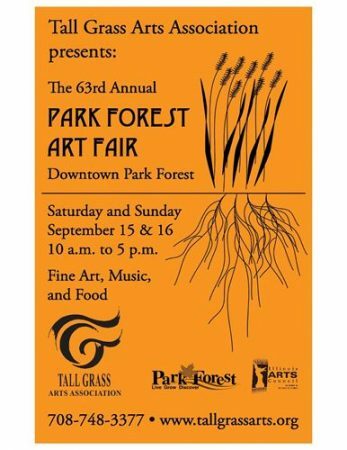 Boasting a rich history and wealth of gifted artists, along with status as one of the Southland’s most valued annual treasures, the Park Forest Art Fair, sponsored by Tall Grass Arts Association (TGAA), in September celebrates its 63rd year, Sept. 15 and 16, 10:00 a.m. – 5:00 p.m. in DownTown Park Forest on the Village Green. “This is the second oldest juried art fair in the Chicagoland region and it has maintained its quality over the years,” event Chairwoman Janet Muchnik said. 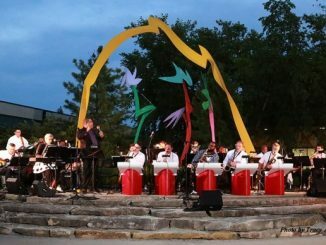 Muchnik emphasized the event always attracts a variety of talents, “some new artists and many who have exhibited continuously for nearly four decades. “Fair visitors have a tradition here of talking with the artists and in fact, the artists expect people to stop by and chat. The eclectic nature of the fair is quickly visible to visitors who will see ceramics, etchings, sculpture, photographs, paintings in many media, digital art works, stitchery, jewelry featuring original elements, and stained glass. The fair will continue to feature the Kids’ Art Alley. It will offer a vast range of activities to delight the younger set, including the almost legendary Children’s Art Contest, crafts and more. 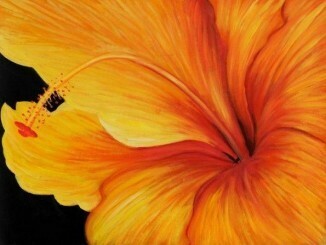 The acclaimed Tall Grass Arts Association Gallery, 367 Artists Walk in DownTown Park Forest, will be open during the fair with a traditional summer exhibit of works by gallery artists.